Our purpose is to help patients realize the highest possible levels of wellness. Optimal well being is our birthright. In our fast paced and stressful world, too many of us do not enjoy this optimal level of good health. Health care systems including natural approaches often do not address the underlying causes of disease. Instead they seek to temporarily relieve or suppress symptoms while no deeper improvement in health is attained. For decades Jonathan Breslow has sought out, and studied extensively with, the most advanced teachers internationally. In doing so he has achieved the knowledge and clinical abilities to fulfill the purpose of the practice. The most appropriate treatment is selected according to the individual needs and state of each patient. Acupuncture, Chinese Herbal Medicine, Classical Homeopathy, Functional Medicine and Frequency Specific Micro-current therapy represent a spectrum of powerful therapeutic tools that can be used to effectively prevent and treat most diseases. These therapies offer rich interdisciplinary insights which make it possible to understand the underlying cause of disease and the appropriate treatment for each patient. In some cases a synthesis of these therapies is applied for optimal results. Clinical experience has enabled Jonathan Breslow to estimate future treatment outcomes and realistically map out treatment plans. Jonathan Breslow is known for his deep sense of understanding and commitment to relieve suffering in his patients and cure the underlying causes of disease. To achieve this, he draws upon a synthesis of natural medical therapies. He has practiced Classical Homeopathic Medicine for the last 32 years, and has studied extensively with international teachers in the U. S., Greece, and has interned in India. Notably, he has been studying advanced homeopathy with internationally renowned Dr. Rajan Sankaran and his group, since 1992. 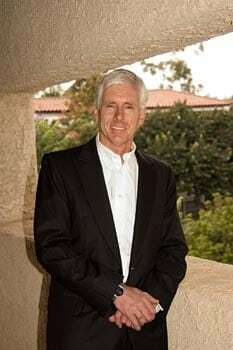 He is author of the book, Homeopathic Medicine in the Home, A Correspondence Study Course; has taught Homeopathic Medicine at the California Acupuncture College and lectured for the California State Homeopathic Medical Society. He is a registered professional member of the North American Society of Homeopaths, affiliated with the Royal Society of Homeopaths in England and the International Council of Classical Homeopathy. He is certified in Classical Homeopathy through The Council for Homeopathic Certification. He is a published author, in the peer reviewed Journal of the Association of Pre and Perinatal Psychology and Health, APPPAH, Spring 2015. As a California Medical Board licensed Acupuncturist, he is a Primary Care Provider, and is nationally licensed through the National Commission for the Certification of Acupuncturists. He holds 2 Masters degrees; one in Acupuncture and Oriental Medicine from the Santa Barbara College of Oriental Medicine, based upon a specialized training in Scalp Acupuncture with Dr. Ming Qing Zhu, world’s leading exponent of Scalp Acupuncture. And a second Masters Degree in Auricular therapy with renowned Auricular researcher and national treasure of China, Dr. Li Chun Huang, world’s leading exponent of Auricular medicine. 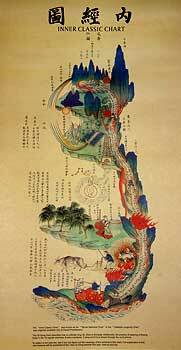 He has studied The Balance Method with Dr. Richard Tan, and Eight Extra/ Divergent Meridian Acupuncture with Dr. Miki Shima. He is a member of the American Association of Acupuncture & Oriental Medicine, the American Society of Acupuncturists and has lectured to the medical staff at St. John’s Regional Medical Center, in Oxnard, CA. Jonathan is active member of and has studied with, the Institute for Functional Medicine. He remains updated on evolving discoveries in this field. Jonathan has synthesized Frequency Specific Micro-current, FSM therapy, with Acupuncture. He has advancing training and certification in Frequency Specific Micro-current therapy. He has studied Craniosacral Therapy and Somato-emotional release with the Upledger Institute. Jonathan Breslow received his B.A. from Antioch University in Early Childhood Development and Holistic Health, with an American Montessori Internationale Teaching Credential, and has practiced yoga for 44 years. He has been serving Ventura County, Southern California, as well as on national and international levels for 32 years. Ventura County Star Readers Choice, Voted Best Acupuncturist West Ventura County 2008 through 2011 & 2013, Favorite Acupuncturist 2012; Camarillo, Somis, Oxnard, Port Hueneme, Ventura, Ojai, Santa Paula, Oak View, Piru, and Fillmore. 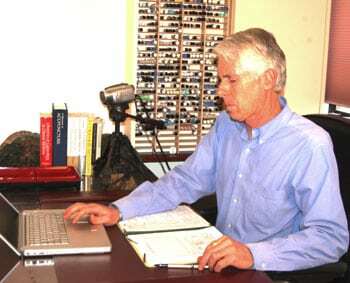 Favorite Acupuncturist 2008 & Best Acupuncturist 2009 East Ventura County; Thousand Oaks, Westlake Village, Agoura Hills, Simi Valley, Newbury Park, Moorpark.